Destination Italy: Where is Sardinia? Sardinia has been on everyone’s radar for the past few weeks. First, we heard how Steven Spielberg, with Gwyneth Paltrow in tow, ran afoul of the local authorities as the tender to his superyacht, motoryacht SEVEN SEAS cruised too close to island beachgoers. Then, we reported on the Perini Navi yacht charter fleet preparing for early September’s sailing regatta against the beautiful backdrop of Porto Cervo, Sardinia. So exactly where is Sardinia and what is the allure that draws so many sailors and visitors? Sardinia is Italy’s second largest island as well as the second largest island in the Mediterranean Sea. It is famed for its beautiful beaches and fascinating history. The nearest land masses are (clockwise from north) the French island of Corsica, the Spanish Balearic Islands, and the Italian Peninsula, Sicily, and Tunisia. For Atlas lovers, the island of Sardinia is situated between 38° 51′ and 41° 15′ latitude north and 8° 8′ and 9° 50′ east longitude. 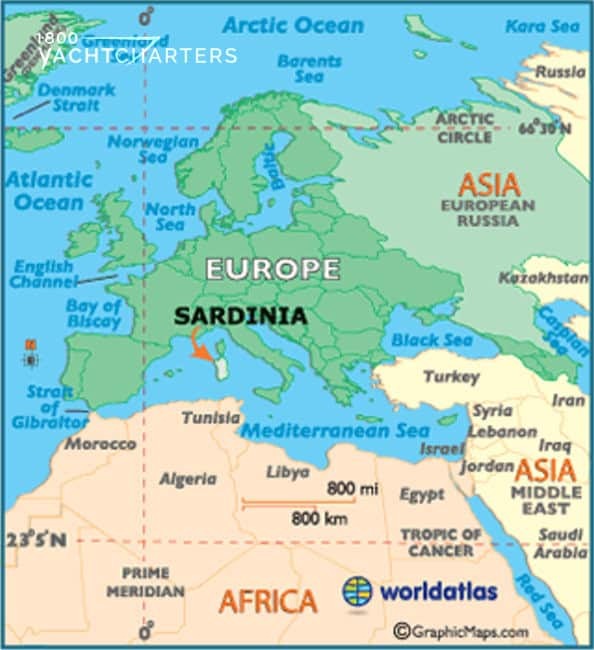 To the west of Sardinia is the Balearic Sea; to Sardinia’s east is the Tyrrhenian Sea. Over many centuries the island has survived countless invasions by the Phoenicians, Carthaginians, Romans, and Arabs. Local festivals on the island still reflect the long-lasting impact of those cultures. Numerous castles, villages, temples and tombs cover the countryside, and with its perfect summer weather, tourists arrive in droves, some via Mediterranean yacht charter vessels, but many more via ferry service from the Italian mainland. Have you been to Sardinia? Please tell us about your experiences! 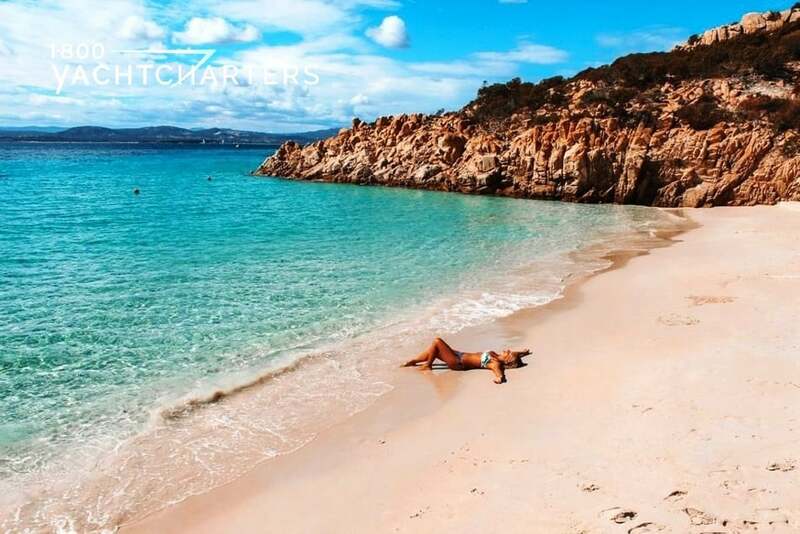 For a sample yachting itinerary of the Italian Riviera, including Sardinia, contact our destination specialists at https://www.1800yachtcharters.com/book-now-contact-us/ .